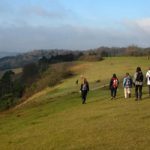 If you are keen on getting out in the Surrey Hills but want to enjoy the experience as part of a group there are a whole host of walking & running groups in the Surrey Hills. 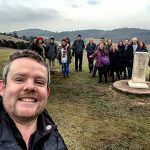 Discover Guildford offer a variety of guided walks that help you to discover the beauty and tranquility of Guildford and the surrounding Surrey Hills countryside. There are 16 Ramblers’ groups in Surrey, which covers part of South and South West London as well as the county. Each group organises two or more walks every week. A number of organised health walks take place throughout Surrey. Walking is the perfect activity for health as almost everyone can do it anywhere and anytime and its free! The Downs & Weald Rambling Group (DWRG) is an independent rambling and hill walking group who run walks in the Surrey, Sussex and Kent area. There are a wide variety of running groups throughout the Surrey Hills. Active Surrey leads on sport and physical activity for the county working with a wide variety of partners. Find a running club through their activity finder database.